Perched on the northern side of Sydney Harbour, North Head is a site of high ecological value. It supports the largest remaining area of endangered Eastern Suburbs Banksia Scrub as well as a threatened population of Long-nosed Bandicoots, and is the site of several successful wildlife reintroductions. AWC works in partnership with the Sydney Harbour Federation Trust to deliver a suite of science projects within the North Head Sanctuary. The Sanctuary, comprising 74 hectares of land held by the Trust, is managed in an integrated manner with the adjoining Sydney Harbour National Park. Together, the Sanctuary and the National Park protect most of North Head, representing one of the most important sites for biodiversity conservation within the Sydney Basin. North Head is a sandstone headland on the northern side of Sydney Harbour, connected to the mainland only by a sand spit. 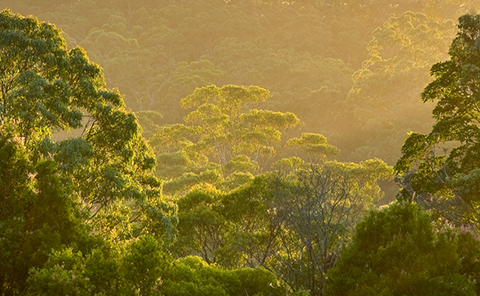 It is an outlying remnant of the Hornsby Plateau, and supports a diverse range of habitats. North Head Sanctuary is located on the highest part of the peninsula and encompasses shrub, open banksia heath, and sections of fern and wetland vegetation communities. North Head Sanctuary is located on Sydney Harbour Federation Trust land and was historically used by the Australian Defence Force prior to and during WWII, and the School of Artillery up until 1998, before it was opened to the public in 2007. The dominant habitat of North Head Sanctuary is Eastern Suburbs Banksia Scrub. This endangered ecological community now covers less than 3% of its original distribution, and North Head is home to half of all that remains. It contains a wide composition of flora species including Banksia spp., Leptospermum laevigatum, Xanthorrhoea resinifera and small native forbs, grasses and shrubs. However, sections of the banksia scrub are deteriorating, due to Tea Tree (L. laevigatum) dominating and excluding the regeneration of other plants. There is a network of hanging swamp wetlands in North Head, with pockets of heath, fern, shrubland and forest. 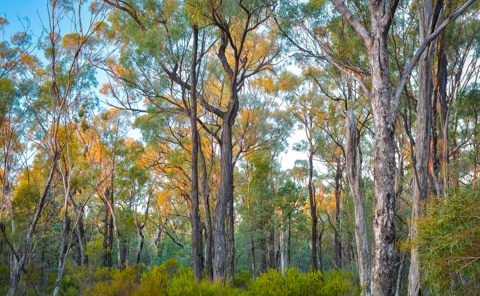 Several rare and endangered flora species also persist here including Camfields Stringybark (Eucalyptus camfieldii), the Sunshine Wattle sub-species Acacia terminalis ssp terminalis and Hairy Geebung (Persoonia hirsuta). The white quartz covered sand dunes at the centre of North Head are some of the last examples of undisturbed, vegetated, high-level sand dunes in the Sydney region. Characteristic of the Eastern Suburbs Banksia Scrub community, nutrient poor soils of Aeolian dune sands overlay the Hawkesbury Sandstone throughout much of North Head Sanctuary. The area has a temperate climate, and rainfall is spread throughout the year. Bushfire season runs from October to March, however most of North Head has not been burnt for over 50 years. Despite its proximity to Sydney, North Head is relatively isolated due to its geography and historical use. Along with active management, this has allowed a number of species to persist in the area, and the sanctuary is now home to a diverse array of flora and fauna. Notable species include an endangered population of the Long-nosed Bandicoot, as well as threatened species such as the Eastern Bentwing-bat, Grey-headed Flying-fox, Powerful Owl and Barking Owl. However, like the rest of Australia, North Head has suffered local extinction of a suite of species since European settlement, most notably the Brown Antechinus, Eastern Pygmy Possum, Eastern Quoll, Spotted-tailed Quoll, Swamp Wallaby and Bush Rats. The reintroduction of locally extinct species and the resumption of the ecological processes in which these species participate (e.g. seed and spore dispersal, pollination, herbivory, predation) is an important component of the ecological restoration of North Head. 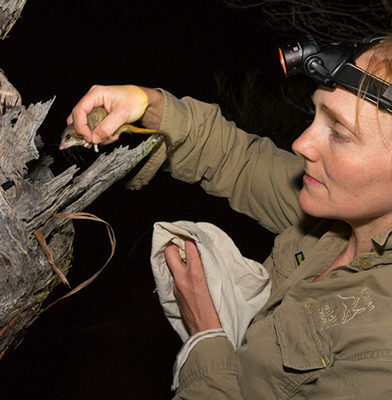 AWC’s primary focus at North Head Sanctuary is the conservation of surviving native species, and the return of locally extinct species such as the native Bush Rat. This is achieved through a program of feral predator and herbivore control, fire and weed management. AWC also implements a range of science projects relevant to the restoration of the biodiversity of North Head. The small, isolated population of Long-nosed Bandicoots on North Head are particularly susceptible to foxes and cats. The cats on North Head are predominantly domestic pets that make forays into bushland and attack local fauna. The density of foxes on North Head is relatively low, however foxes occasionally disperse to the headland where they are capable of causing high mortality amongst native wildlife if not rapidly detected and eradicated. 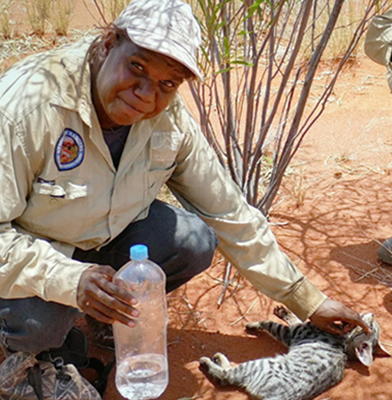 AWC is using a range of techniques to monitor North head for incursions of feral predators, including spotlighting and infra-red cameras. Rabbits are recognised as a key threat to Eastern Suburbs Banksia Scrub (ESBS), as rabbit grazing has the potential to dramatically reduce post-fire regeneration, leading to long-term changes to ESBS species composition. They are controlled across the headland by baiting and shooting, carried out by NSW SPWS and the Harbour Trust. In collaboration with the North Head Sanctuary Foundation, AWC is investigating the effectiveness of prescribed burning in combination with feral-proof fencing to reduce the grazing pressures of feral rabbits. Results to date indicate that fencing around newly burnt patches of ESBS can promote regeneration of vegetation and increase its structural and floristic diversity following fire. Black rats are also a problematic feral herbivore and predator on North Head. AWC’s strategy for removing Black Rats is to reintroduce and support the native Bush Rat, helping it to outcompete the feral Rat. Fire on North Head is jointly managed by the Trust, NSW NPWS and other government agencies, with AWC providing scientific support related to the role and impact of fire on the habitats of North Head, particularly the Eastern Suburbs Banksia Scrub. Weed control is implemented by the Sydney Harbour Federation Trust, supported by the North Head Foundation. Long-nosed Bandicoots were once widespread and common in Sydney, but are now restricted to a few populations, including a small isolated population (less than 170 individuals) on North Head. They are vulnerable to predation by cats and foxes, like many other mammals of their size. 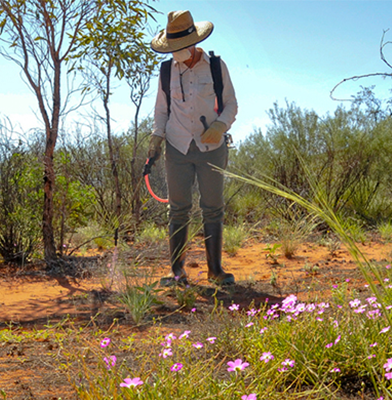 AWC is working to protect the North Head population, by monitoring numbers (in conjunction with NSW NPWS), keeping track of threats, and researching vegetation restoration and its value for bandicoots. Like much of Sydney, North Head has lost a suite of native mammals since European settlement. AWC is restoring the faunal diversity of North Head through a reintroduction program of locally extinct species. These reintroductions will assist important ecological processes such as pollination and the dispersal of seeds and spores. Bush Rats (Rattus fuscipes) were reintroduced to North Head by AWC in 2014-2016. They are an important part of the animal community in forests in eastern Australia. The reintroduction has also involved the removal of Black Rats, which have replaced native rodents in much of the remnant habitat around Sydney. Successful establishment of Bush Rats assists in reducing Black Rat numbers, which benefits the other small mammals being reintroduced. The reintroduction has been very successful, with Bush Rats now detected over an area of 200 ha (expanded from the original 15 ha), and outnumbering Black Rats at every site. The Eastern Pygmy Possum (Cercartetus nanus) is a tiny nocturnal marsupial that is an important pollinator of banksias and other native flowering plants. It is under threat from habitat loss, foxes and feral cats, and changing fire patterns, and is locally extinct in many areas (including North Head). AWC reintroduced 10 Eastern Pygmy Possums to North Head in 2016-2017, with further translocations to come. Recent surveys revealed several unchipped adults, as well as 5 pouch young, indicating that the population is becoming established on the headland. A population of 34 Brown Antechinus (Antechinus stuartii) was reintroduced to North Head in 2017. They are a small carnivorous marsupial that feeds on invertebrates and are an important pollinator. Under threat from habitat loss, predation by cats and foxes, and changing fire patterns, they were reintroduced as part of a strategy to restore small mammals to North Head. Surveys have revealed unchipped adults, indicating that the initial population has reproduced. AWC carries out monitoring and research to track the outcomes of reintroductions for the species and ecosystems of North Head. We measure the success of reintroductions and the establishment of sustainable populations, and determine how the reintroduced animals use the habitats at North Head. 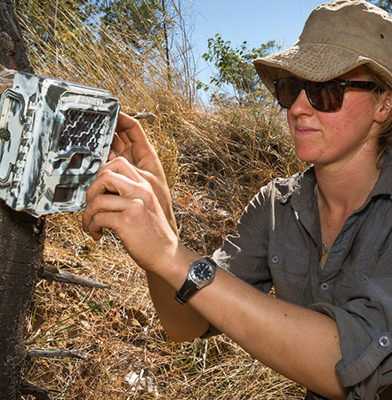 We also look at interactions amongst reintroduced species, and their relationships with feral animals – for example, we have shown that native Bush Rats can defend territories from reinvading Black Rats. AWC is currently developing strategies to enhance the conservation value of the headland – through sustaining reintroduced populations, and identifying a number of other mammals that could be reintroduced. 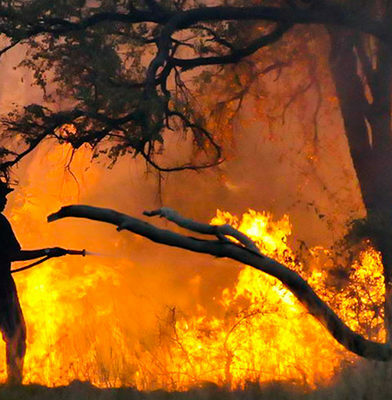 Wildlife in the Sydney region is under threat from loss of habitat, predation by feral cats and foxes, and changed fire regimes. Thanks to its isolation and historical uses, the habitats on North Head remain relatively intact, so the headland represents the ideal opportunity to preserve and restore a functioning ecosystem in the region. AWC has been working to improve the habitat on North Head, and has already reintroduced several species that were locally extinct, with more to come. Help us protect Australia’s threatened wildlife.